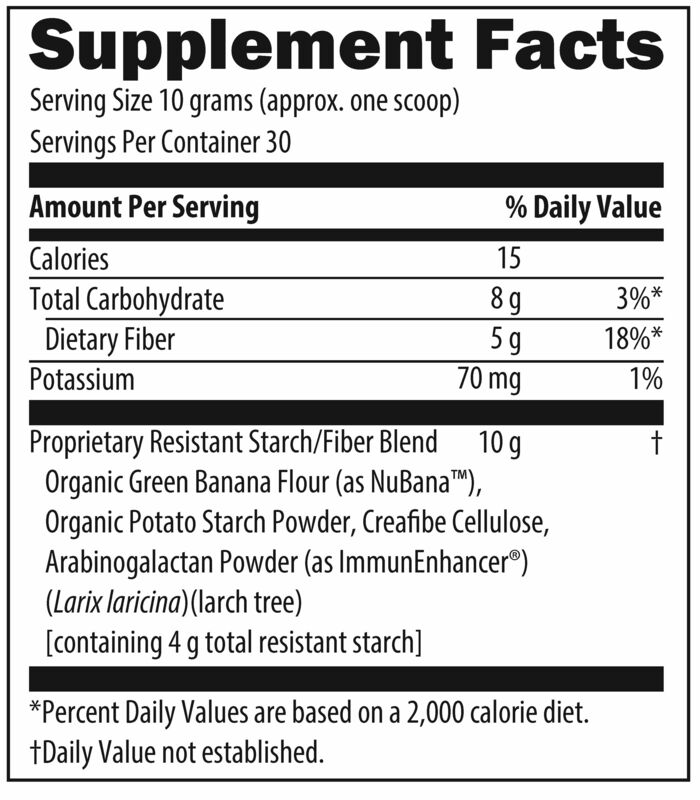 PaleoFiber® RS contains two forms of resistant starch (RS) type II: organic green banana flour and organic potato starch powder. RS is a type of starch that is resistant to digestion, as enzymes in the GI tract are inactive against it. Once RS reaches the large intestine, it is fermented into short chain fatty acids, which are used as fuel for both beneficial microbes and enterocytes of the GI tract. 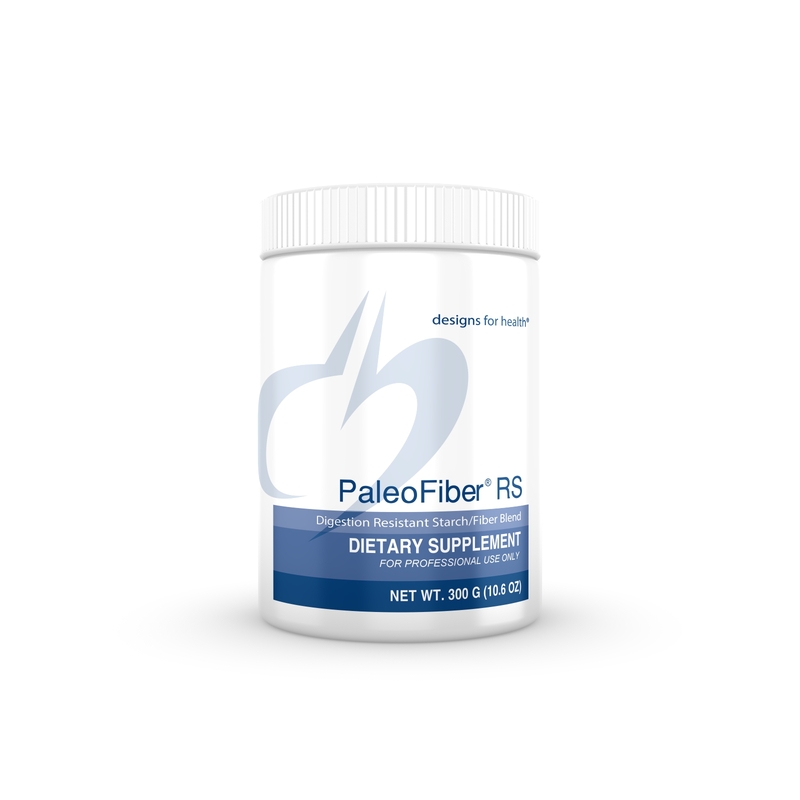 PaleoFiber® RS benefits GI health through its ability to support microbial balance and proper intestinal permeability and integrity. Additionally, this formula may help support optimal blood sugar and insulin levels, appetite control, and cardiovascular health.